Tempranillo is a black grape variant widely grown in Spain and Portugal to make full bodied red wine. 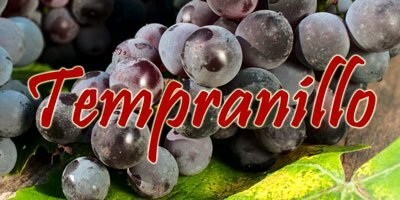 The name is derived from the Spanish word ‘temprano’, which means it ripens several weeks earlier than most Spanish grape variants, used in wine making. 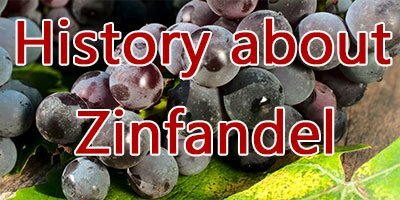 The name is derived from the Spanish word temprano, which means it ripens several weeks earlier than most Spanish grape variants, used in wine making. Tempranillo grapes has grown on Iberian Peninsula since the time of Phoenician settlements. 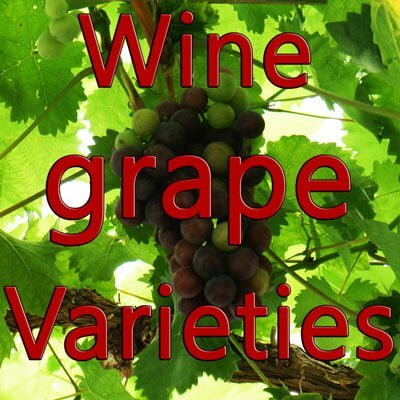 It is a main grape variant used in Rioja, and the variant is in Spain often referred to as a noble grape. Unlike the aromatic wine variants like the Pinot Noir or the Cabernet Sauvignon, Tempranillo grape has a relatively neutral profile when it comes to the taste and fragrance and hence it is often blended with other grape varieties like Grenache and Carignan. Tempranillo was thought to be a relative of the Pinot noir grape variant for some time. This wine dates back to 2000 years and was first produced in the Phoenician settlement of the southern provinces of France. The grape was introduced to Americans by the Spanish Conquistadors in 17th century. Tempranillo travelled widely across the world in the 20th century and ever since, it has been established in the entire world. The ruby red coloured Tempranillo wines are often blended along with other wines with rare ones being bottled individually. 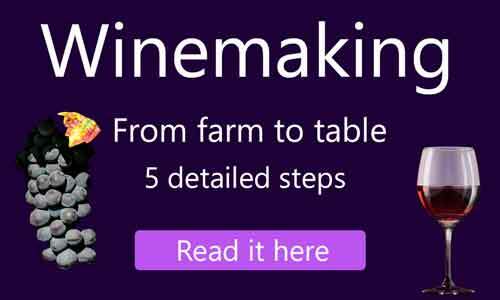 When these wines are bottled with other varietals, they almost form 90 percent of the blend. Since it is low in acidity and sugar content, it is often bottled with Grenache, Carignan, Graciano, Cabernet Sauvignon and Merlot. This wine when blended with Carignan makes an acidic and a bright red wine. This wine is also a major component of the Rioja blend of wines, and Ribera Del Duero wines with Tempranillo occupying 90 – 100 percent constituents. Tempranillo in Australia is blended with Syrah and Grenache. In Portugal, where this wine is known as Tinta Roriz, is used in the production of Port wines where it forms a major component. Tempranillo wine tends to flourish in the chalky vineyard soils and hence is grown in countries like Spain, United States, Australia, and Portugal, traditionally. Tempranillo wine is also grown in countries like Mexico, New Zealand, South Africa, Argentina, Uruguay, Turkey, Canada, etc. Across the world, this variant occupies 500000 acres of land. Tempranillo wine gives out fruit flavours of plum, cherry, strawberry and tomato along with earthy, herbal and floral flavours of leather, vanilla, tobacco, and clove. As far as aging is concerned, this wine is aged for 12 to 18 months in an American or a French oak barrel and it often takes the flavour of the barrel. When one first tastes the Spanish Tempranillo, it gives the flavour of leather and cherries. 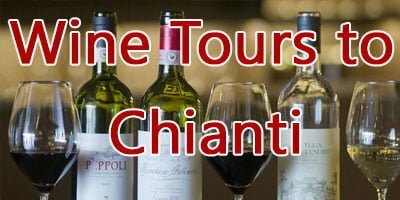 The finish of the wine is mild and smooth and tends to linger on both the sides of the mouth due to its medium tannin content. 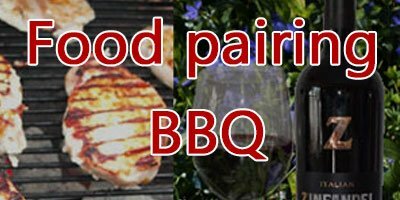 American and New World Tempranillo give out a lot of cherry and tomato sauce flavours followed with a chunky tannin. The Tempranillo wines are usually classified either as full-bodied or medium-bodied wines with red fruit characteristics. Tempranillo pairs really well with many foods due to its savoury taste. This wine goes well with the Spanish cuisine, which includes roasted vegetables, cured meats like lusty Jamón Ibérico de Bellota, etc. This wine also goes well with Italian dishes like Lasagne, and Pizza and tomato sauces based dishes. It is also preferred with Mexican dishes like nachos, tacos, burritos and Chile Rellenos. This wine also tastes the best with Grits, Polenta and corn based dishes. Tempranillo is also known with synonyms like Tinto del Pais, Cencibel, Tinto Fino, Tinto de Toro, Ojo de Liebre, Tinto Madrid, Ull de Llebre in Spain and Aragones, Tinta Aragoneza, Aragonez, Arinto Tinto, Tinta de Santiago, Tinta Roriz in Portugal.